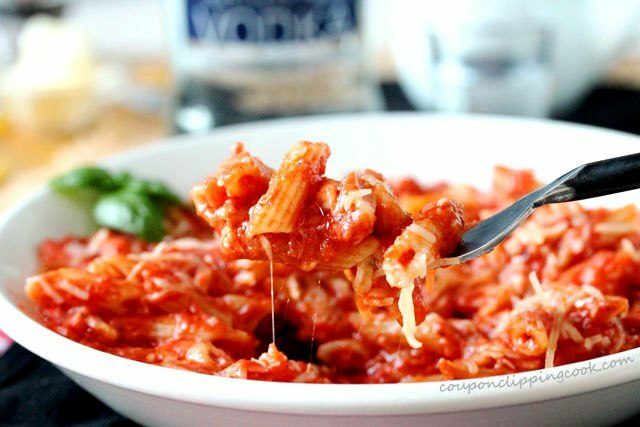 As if pasta sauce wasn’t good enough all by itself, when it’s spiked with a bit of vodka, it’s even better. But that’s not all. When adding browned butter and cream to the mix the sauce just gets better and better. 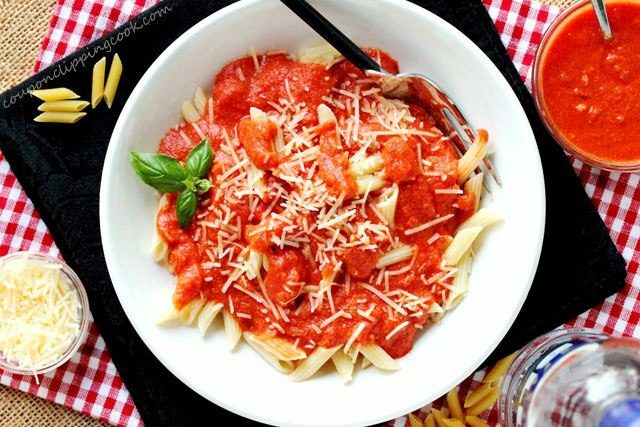 This meatless pasta dish is rich and tastes heavenly. And the good news is that it’s really easy to make. 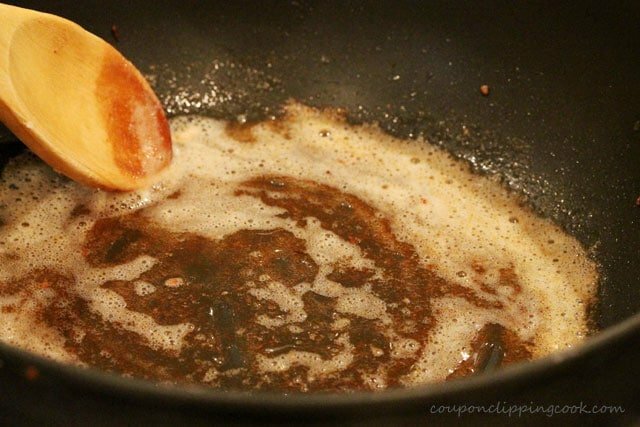 My favorite part about this sauce besides everything, is the sautéed onion (in butter). 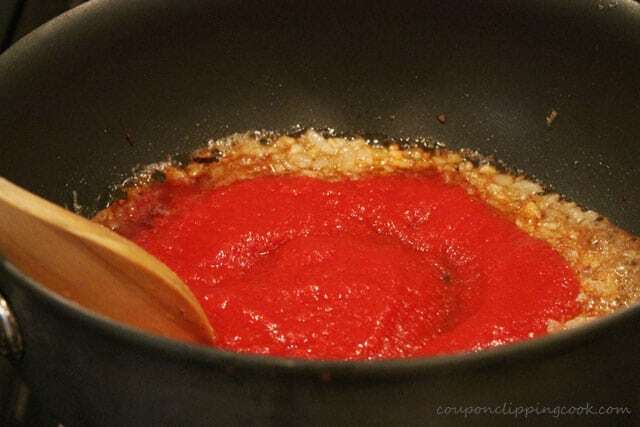 The onion adds such a nice texture to the sauce. 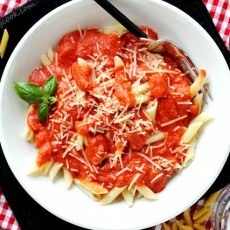 For fun I like to change up the pasta and this time I used mini penne. I have to admit that I have a weakness for buying different types of pasta. Whether it’s the shape, size or color, whenever I see pasta that’s a little different in the grocery store, into the shopping cart it goes. 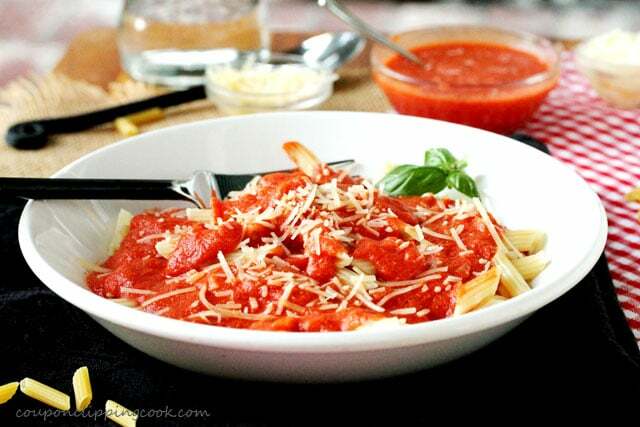 It’s nice to have a selection of pasta on hand in the pantry so quick meals like this one can be switched up easily by using different pasta each time. 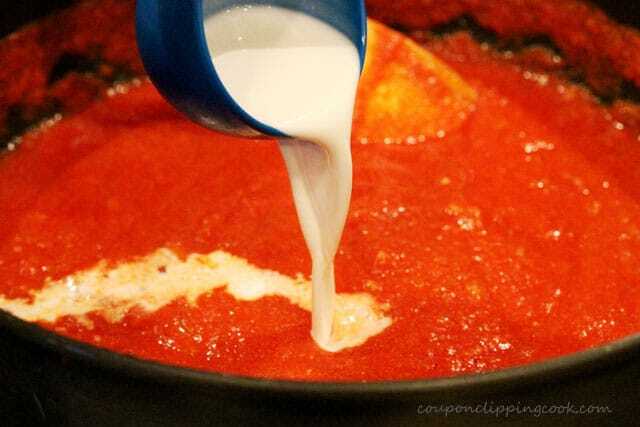 In a medium-size sauce pan, add water and salt, and bring it to a boil. 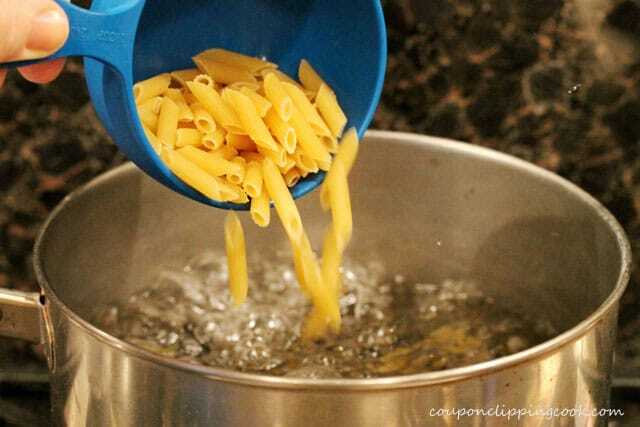 Add the pasta and give it a stir. Let cook until the pasta is al-dente (still firm) according to package instruction. 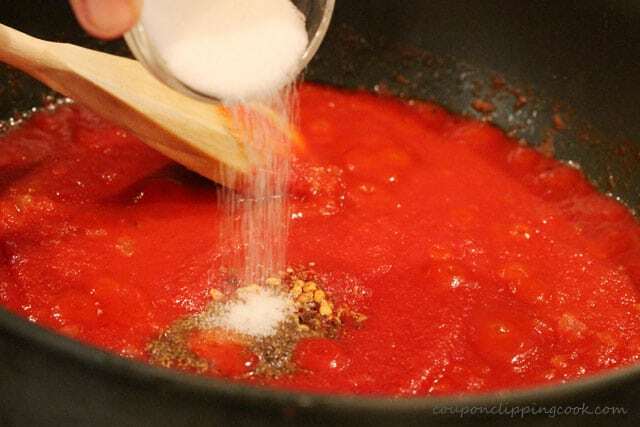 Drain the pasta (but don’t rinse; you want the pasta to keep its starch so it will hold and absorb the sauce). Set aside. 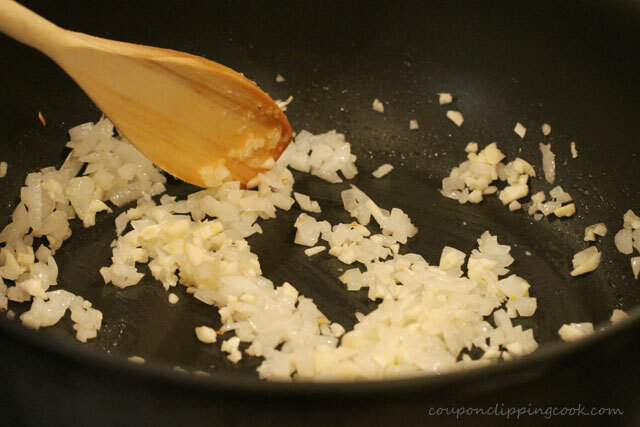 For Sautéing the Onion and Garlic – heat a medium-size sauce pan on medium heat, and add butter. Let cook until the onions start to turn translucent. 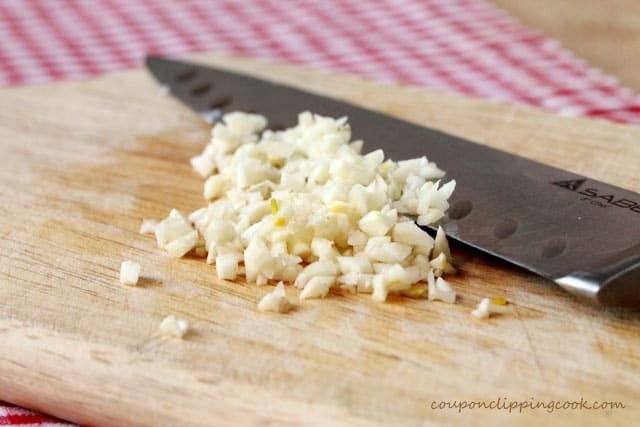 Remove the onions and garlic from the pan on to a plate or small bowl. Set aside. 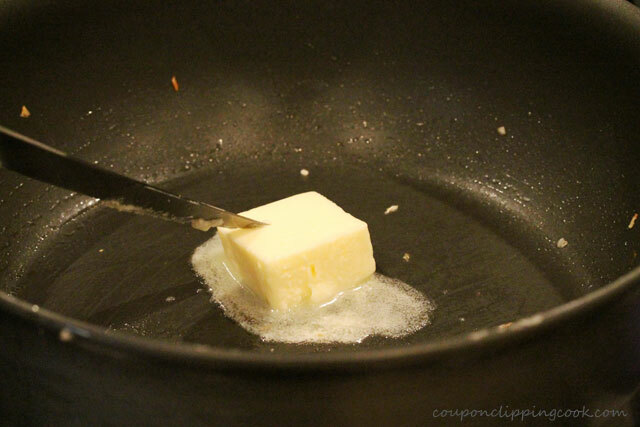 …and add the remaining butter. 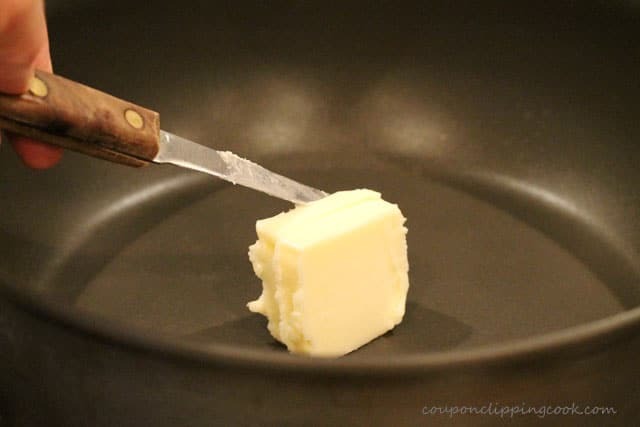 Continuously stir as the butter melts. 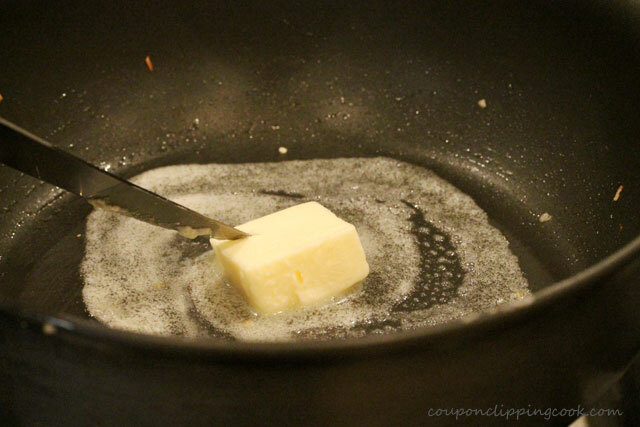 …until the butter starts to turn a golden color. Then add the onions back to the pan. and cream (or half and half). Stir and let simmer for 10 minutes. 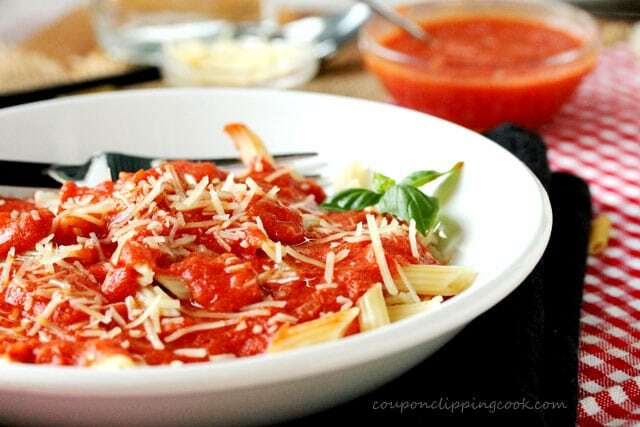 Serve warm over pasta and top with grated or shredded Parmesan cheese. …enjoy each and every heavenly bite. 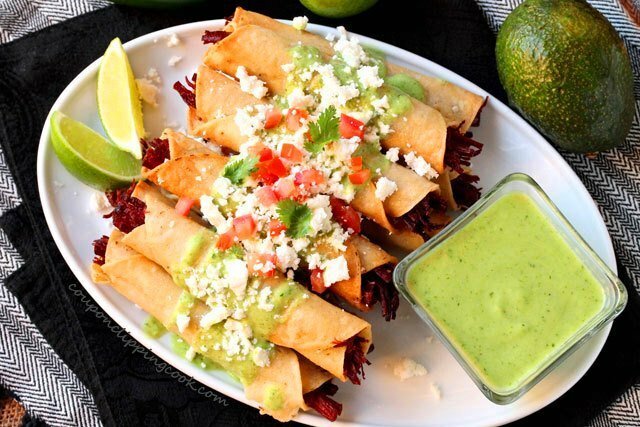 Delicious any night of the week! 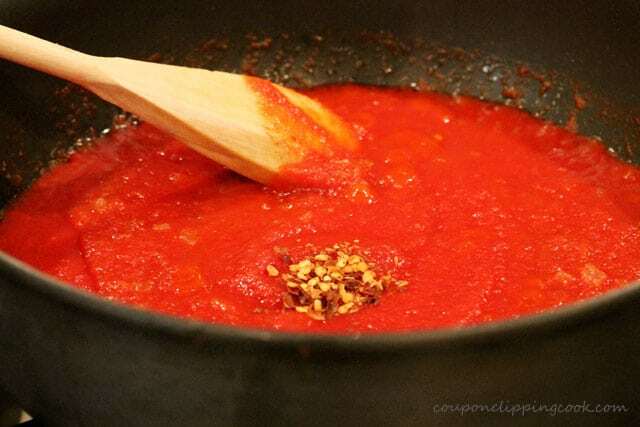 In a medium size sauce pan, add water and salt. Bring to a boil. 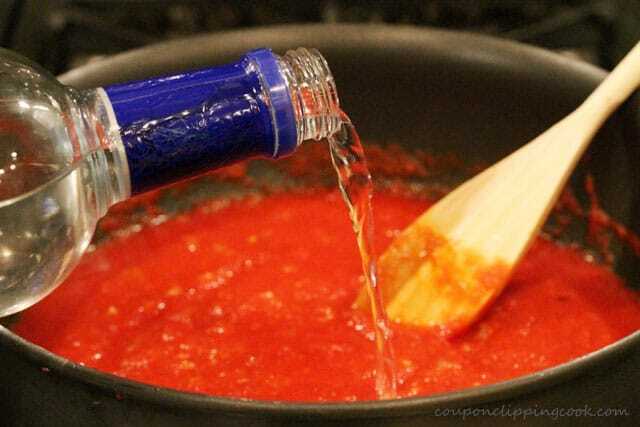 Add the pasta and stir. Let cook until the pasta is al-dente (still firm) according to package instructions. 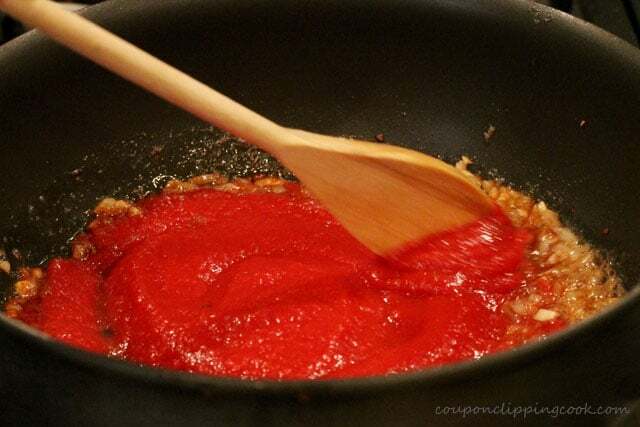 Drain the pasta (but don't rinse; you want the pasta to keep its starch so it will hold and absorb the sauce). Set aside. 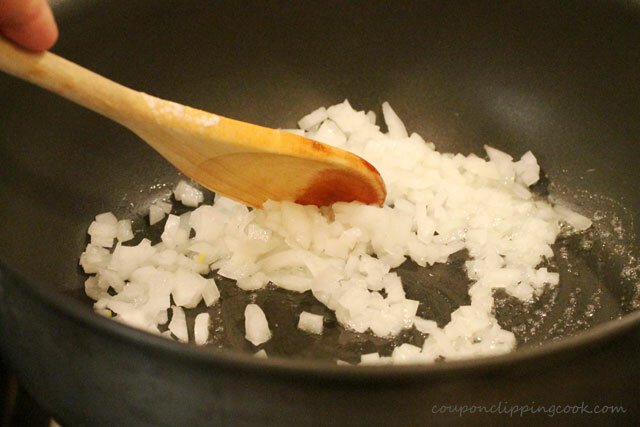 For Sautéing the Onion and Garlic - Heat a medium-size sauce pan on medium heat and add butter. 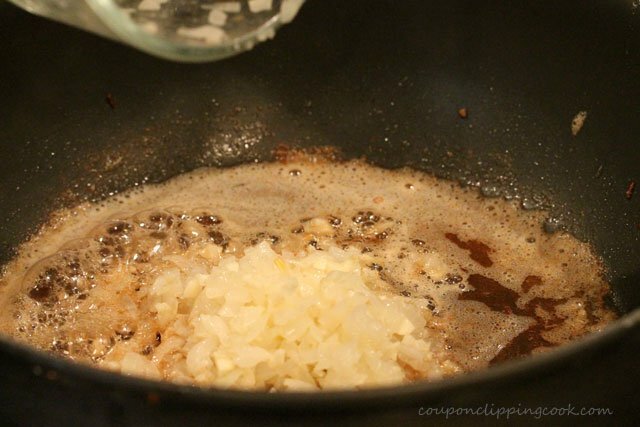 As the butter is melting add the onions and garlic, and stir. Let cook until the onions start to turn translucent. 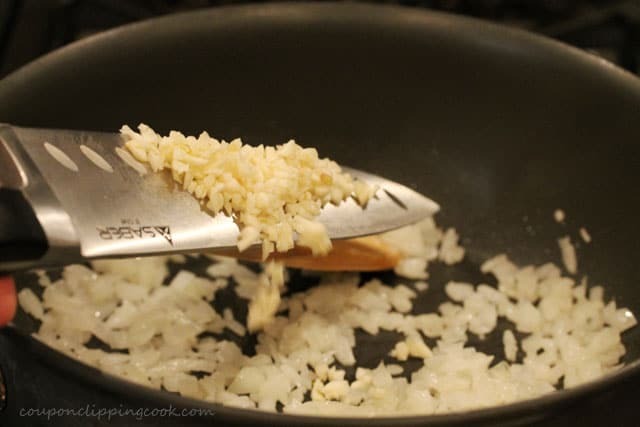 Remove the onions and garlic from the pan on to a plate or small bowl. Set aside. 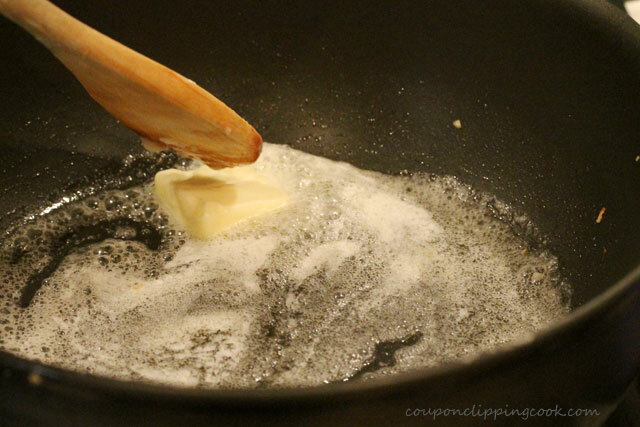 For the Browned Butter - Heat the same pan on low to medium heat and add the butter. 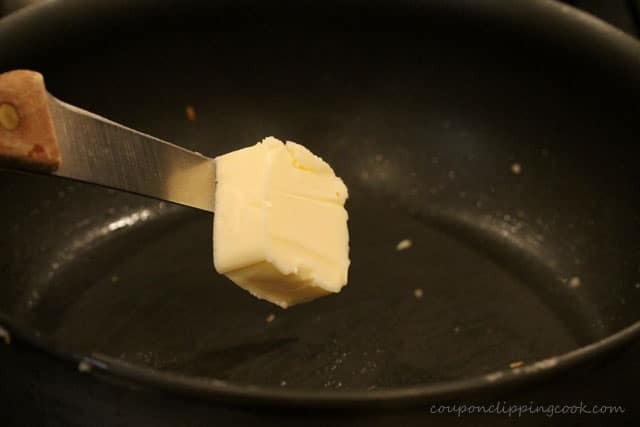 Continuously stir as the butter melts. 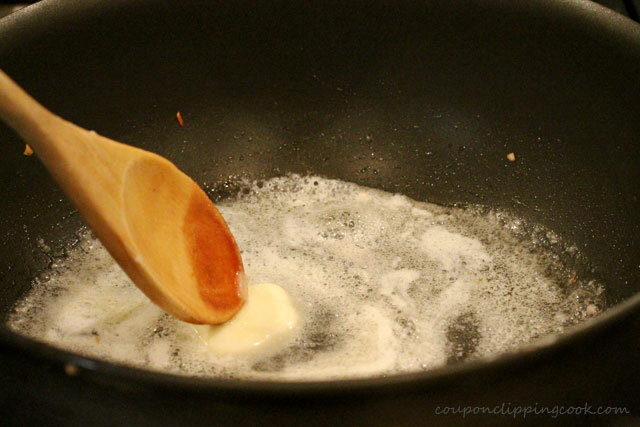 Keep stirring until the butter starts to turn a golden color. Then add the onions back to the pan. 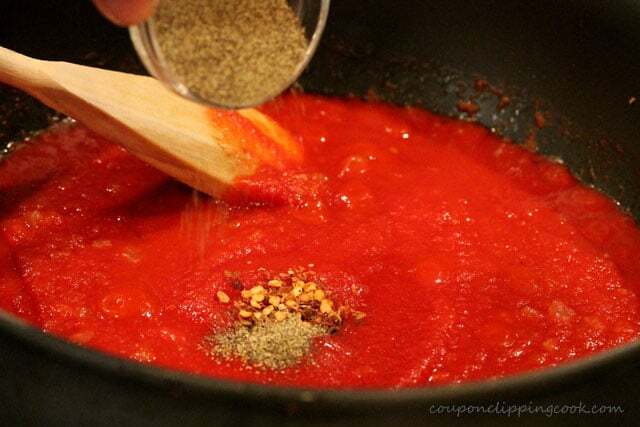 Add the tomato puree, red pepper flakes, pepper, salt, dried basil, vodka, and cream (or half and half). Stir and let simmer for 10 minutes. 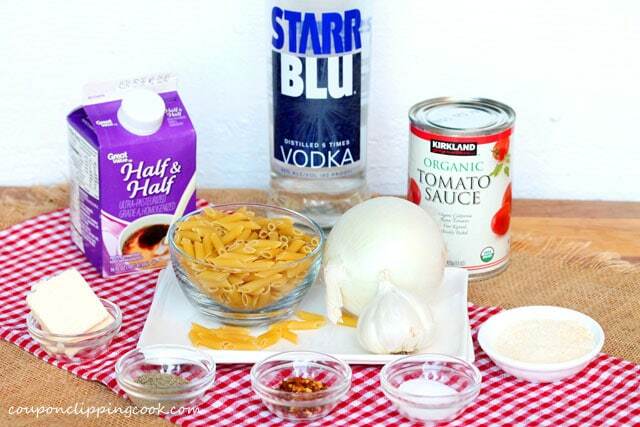 Serve warm over pasta and top with grated Parmesan cheese.